These biscotti were inspired by a traditional recipe my maternal grandmother Nonna Nuccia used to make. Every year, during Easter week, Nonna made a panettone (an Italian sweet bread) decorated with multicolored nonpareil candies. 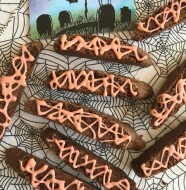 My biscotti logs are sprinkled with the same candies and when sliced, they surprise you just like Easter eggs. 1. Preheat the oven to 350°F. Grease and flour two 12 X 18-inch baking sheets and set aside. 2. Combine the flour, baking powder, salt and cinnamon in a medium bowl and set aside. 3. In a large mixing bowl and with a hand mixer, beat together the eggs, sugar, oil and vanilla extract on medium speed until well blended. 4. Stir in the pistachios, blueberries, raisins, apricots and cranberries. 5. With mixer set on low speed, gradually add the flour mixture (1 cup at a time) to the wet ingredients, mixing well after each addition. 6. Transfer the dough onto a smooth, floured surface and, with lightly-floured hands, lightly knead the dough until smooth and uniform. 7. Divide the dough into 4 equal pieces. Form each piece into a log measuring 14 inches long by 2 inches wide. 8. Transfer the two logs onto each prepared sheet, at least 2 inches apart. 9. Gently press each log to flatten slightly. Using a pastry brush, lightly coat each log with the egg wash.
10. Sprinkle each log abundantly with the nonpareil candies. 11. Bake logs, 10 minutes and then invert sheets (transfer sheet from upper rack to lower rack and vice versa). 12. Bake logs 15 minutes longer or until golden and they firm to the touch. If logs are too soft, bake an additional 5 minutes. 13. Transfer sheets to a wire rack or on the kitchen counter. Let logs cool in baking sheets for 6 to 8 minutes. 14. After 6 to 8 minutes, place logs on a cutting board and, using a sharp knife, cut logs crosswise and on a diagonal slant into 3/4-inch thick slices. 15. Arrange biscotti on the same baking sheets, cut-side down, in a single layer. 16. 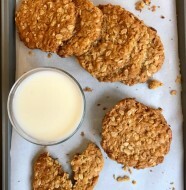 Return baking sheets with biscotti to oven and bake 4 to 5 minutes, turning biscotti over. After turning biscotti over, bake an additional 4 to 5 minutes. 17. 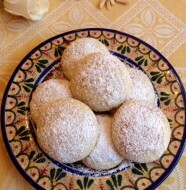 Allow the biscotti to cool completely in baking sheets set on counter. Once cool, store the Easter Biscotti in double plastic freezer bags. They will keep frozen up to two months. Photograph of Dove Candies ®, which are a registered trademark. 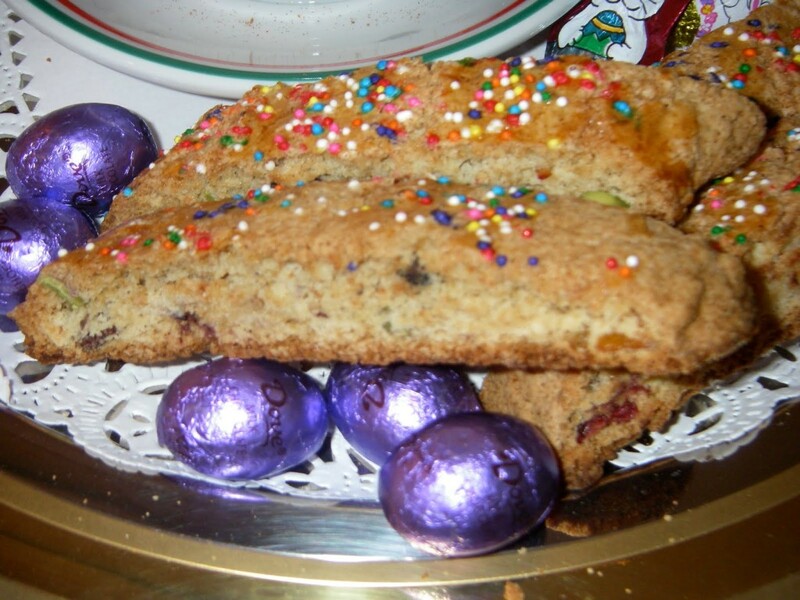 6 Comments on "Easter Biscotti"
yum! what an appetizing presentation! congrats on the blog! I just subscribed to your blog. This blog is very special as it contains recipes from various ethnic backgrounds. I will be trying the Indian chicken recipe as I like spicy, hot foods and I know it will be enjoyed. I appreciate all your hard work. Your pictures are very pleasing to the eye and your description of the recipes is very clear. I look forward to more recipes. Congratulations!!! Mamma Francesca made these biscotti and they were great. They go great with the morning coffee, especially for those who need a little bit of sweetness with breakfast.